Immortal Reviews' official ranking of all the albums and EPs we reviewed in 2018. We live in a tumultuous time. The chaos of every day seems to get lost in the constant dialogue of one big issue after another. Thirty Seconds To Mars perfectly captures the essence of that in their new album America. Neither wholly global nor personal, America is the soundtrack of society today. From the dream-inspiring lead single 'Walk On Water' to the epic orchestral theme of a tragic hero, closing track 'Rider,' Jared Leto and co. take a look at all the aspects of life and how society faces them. The thrill of love is celebrated in 'Dangerous Night' while it is dramatized in 'Love Is Madness' with Halsey, before the admiration of 'Great Wide Open' fills your heart with the want to unite and spread peace and tranquility. America is as much of a call-to-arms as it is a snapshot, but it naturally leads you to want to reach that point of unity by showing you the chaos head on. It's an album about humanity, and begs the question: are we moving forward, or stuck in the past? 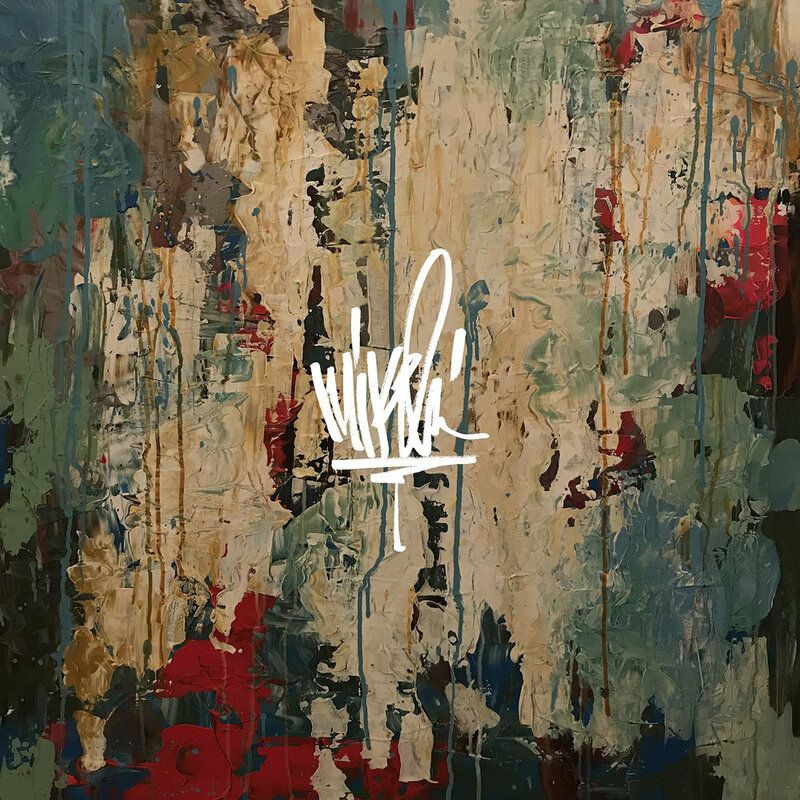 Once Mike Shinoda delivered the highly emotional Post Traumatic EP to launch his solo career at the start of the year, it was clear that he was going to turn his journey through grief into something powerful. And so he does with Post Traumatic, his debut album that looks back and ahead in the aftermath of losing his best friend and bandmate, Chester Bennington. The first half of the record is trapped in the past, numbers like 'Over Again' and 'Nothing Makes Sense Anymore' lost and confused. The second, however, is more optimistic and begins looking forward: 'Crossing A Line' sees Shinoda find the courage to pull himself back together, while 'World's On Fire' is an ode to his loved ones. It's an emotional record, but a reassuring one all the same: pain is universal, and the journey through grief is not an easy one. But by speaking out and trying to understand one another, we can reach that destination just a bit more easily. Band's can easily find themselves having an identity crisis as they grow. For CHVRCHES, they experienced that with their third album, but instead of scrambling in the dark, they embraced it. With acoustic instrumentation supporting their famous synth soundscapes, CHVRCHES forge ahead on a new path in Love Is Dead. It's an album about accepting reality even when the past seems so tantalizing, from heartbreak tracks like 'My Enemy' (featuring The National's Matt Berninger) and 'Really Gone' to more energetic anthems like the instrument driven 'Graves,' it really feels like not only has CHVRCHES turned over a new stone, but they've thrown a stone as well. Even if the epic atmosphere of 'Never Say Die' or the "take yourself back" energy of 'Get Out' aren't necessarily new for the band, this record shows CHVRCHES at their best and with a new understanding of both their sound and themselves. The feeling of being in love is one that is hard to qualify. It's pure euphoria, and that is something that doesn't come by easily. The first half of Milk & Bone's Deception Bay is all about that feeling. With childlike curiosity, the duo celebrates and explores young love, from the feelings of an innocent crush to a growing passion, beautifully and sweetly capturing the emotions you'd feel on both sonic and lyrical planes. But, as the album hits it centers, it all turns as loneliness takes over love, heartbreak being all they know. From the melancholy search of 'Tmrw.' that chants "Let's see what tomorrow brings" to the ambient, reflective closure of ':'),' Milk & Bone explore two of life's most powerful emotions and takes you along on the ride, too. Muse are no stranger to grandiose themes and bombastic albums, and their latest effort is no different - but they bring a different vibe to the table this time. 2018’s Simulation Theory is an exploration of the idea we’re living in a simulation, dramatic tracks like 'Algorithm‘ and ‘Propaganda‘ attempting to overrun the simulation and take themselves back. The narrative of wanting to preserve what emotion humanity has left carries over from the warfare-minded Drones, yet Muse’s exploration of electronica in tracks like ‘The Dark Side‘ harken back to their earlier songs. Meanwhile, the punchy ‘Pressure‘ with its brass accents and ‘Thought Contagion‘ remain as revolutionary anthems to keep the attention of any potential rebel. Muse start down a new path with this one, but one that really sums them up perfectly. Rarely do you hear something as diverse yet so certain as Let's Eat Grandma's latest record I'm All Ears. Like a modern blend of CHVRCHES and Pink Floyd, Let's Eat Grandma build an expansive record out of drama, pain, and the idea of growing up. The album begins with carefree, fun tracks like 'Hot Pink' and 'Falling Into Me,' before the duo grows more introspective as they meet reality. The dejected 'Snakes & Ladders' and the closing track - the eleven minute epic of self exploration 'Donnie Darko' - see them go down that path of self-acceptance as they meet life head on in its most momentous and difficult times. It's deceivingly catchy, and will wrap you in and grow more as a personal memoir that slowly but surely begins to mirror its listener the longer it plays. Music is trending towards a genreless future, and amongst the new generation of these alternative artists is grandson, who is undoubtedly the most unique of the bunch. Bringing together elements of electronica, rock, indie, and just about everything else under the sun, grandson's haunting melodies and glitchy drops are some of music's most unique moments. Add to that a lazy revolutionary motive, and you have his debut EP a modern tragedy, vol. 1, complete with banging singles like 'Blood // Water' and haunting rockers like 'Overdose' and '6:00.' There's not quite anyone who sounds similar to him, but all the same shows that he's paving the way for a new future in music. In a world dominated by countless pop stars, AURORA has always stood out. The Norwegian singer’s folky and indie pop blend earned her a cult following, and her sound is only progressing. This year’s Infections Of A Different Kind (Step I) finally followed up her 2016 debut, delivering both natural anthems like ‘Queendom‘ and more introspective tracks like the haunting ‘Churchyard' and panicked ‘Gentle Earthquakes.’ Meanwhile, tracks like ‘It Happened Quiet‘ are the perfect representation of why AURORA is so important in music right now: no one has that same angelic nature about them like she does, and the way she makes her music come to life is almost like you’re watching a fairytale unfold. Marmozets were the reviving force of punk-infused alternative rock when they broke onto the scene in 2015. Back with more societal anger and even bigger riffs, Knowing What You Know Now is a massive effort full of hard hitters like 'Habits' and the emotional ballad 'Me & You.' They leave no stones unturned, challenging society where they see fit: whether its political turmoil ('New Religion,' 'Like A Battery') or personal battles ('Insomnia'), Marmozets have a vengeance to settle and have proven that their wild spirit was not just a flash in the pan: it's here to stay, and it's staying with a vicious attitude. Of all of Kanye West's projects release over the summer, his collaborative album KIDS WITH GHOSTS with Kid Cudi was by far the most evocative. Reflective, aesthetic, and apt, West and Cudi look at all the aspects of both their pasts and society around them to craft the powerful commentary in the record. From the aggressively anthemic intro 'Feel The Love' to the brilliant Santa Claus-referencing samples of '4th Dimension,' the production plays as pivotal a role as the lyrics themselves. Cudi and West face their failures in 'Fire' and incessant criticsm in 'Freee' before fully committing to look forward in 'Reborn,' offering a message of self-improvement as well. KIDS SEE GHOSTS is a project of the times: an effort dedicated to bettering both the world and themselves. The following is a comprehensive list of all of the albums and EPs we have listened to in 2018 and how they rank with other records. Click the links to check out the full reviews! NOTE: Some rankings below may differ from the final rankings posted in the review.